Sumallo Bluffs are quite fat, but are also very snowy. Buszowski-Kippan, Crunchy Frog, the Mess routes and First Time Lucky are all in and may even survive a few days of warm temperatures. But right now they are all also snow-laden, almost a foot of low-density snow in places. Anthrax Ripple is almost pure white, although with binoculars one can see blue ice pillars at the cruxes. Landmark Gully looks good, the lower WI4 pitch is fat, but the curtain is only about 50% of the way down. After being stymied on Sumallo we went up to the Coquihalla. The Drool in the Lotus is in, but snowy. Thinking Outside the Box is all snow except for the top pillar (which is fully in, no holes) – enough snow to look like recent avalanche deposition. Box Canyon routes are probably in, but there is not enough snow yet to bury the alders or fill in gaps between the boulders – we wallowed up canyon for a ways and then turned back short of climbing anything. Lower down around Hope, there is still ice clinging on to routes like Mousetrap, but also lots of running water. Higher elevation north-facing stuff like Medusa and Thacker Falls were blue and looked good from the road. Yesterday (Dec 4) viewing from the road confirmed previous reports regarding Whistler and Pemberton area conditions. Best options looked like Soo Bluffs or Suicide Bluffs. 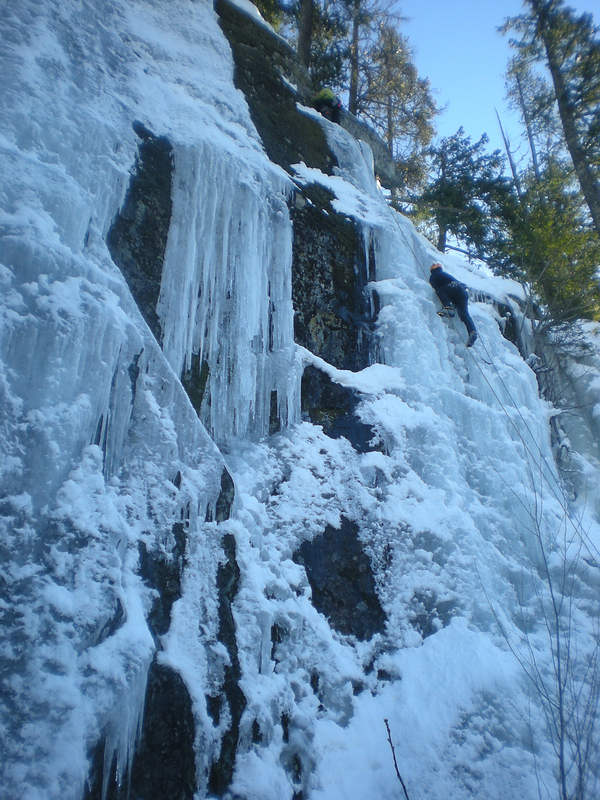 Squamish has little to show for ice despite a drop in temps. A Scottish Tale might be worth a look. A close inspection of the Fluffy Kitten wall was much more promising. Forever Young (Tiggers…) looks like a go with a nice hose of green ice for the upper 3 pitches and a lot of white on the first pitch, which should be fine as that is usually all well protected dry tooling. 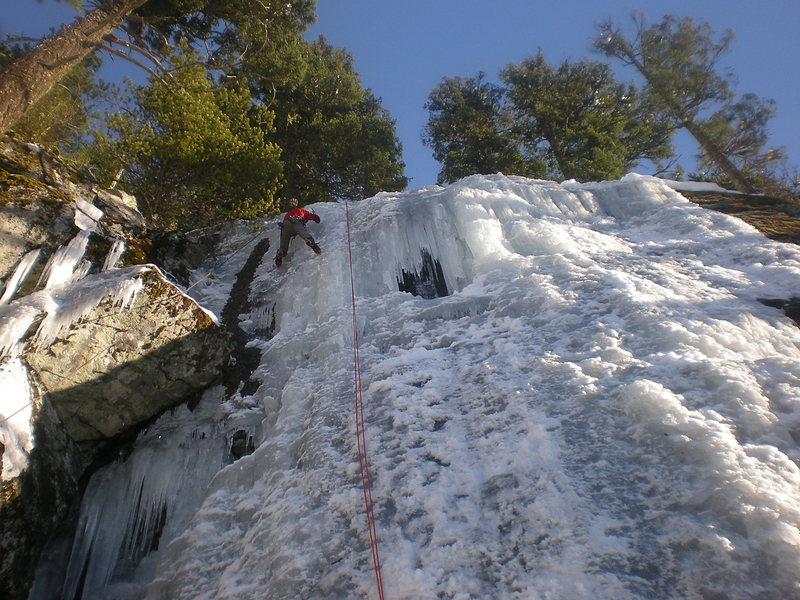 Cat O’ Nine Tails has ice, but looks lean – and the lower pitches were quite white, so that’s a bit more of a wild card. The Stawamus River Road is gate open and 4WD on compacted snow with some ice for a fair ways. If you have a sled the approach is a piece of cake. Without you’re looking at 3 hours to the base on foot (skiis and skins advisable) making for a full day. Elevation and aspect work in favor here and with a bit of luck conditions should keep improving barring any major warming. When its good here its pretty damn good, but often you really have to go rub your nose against it to find out what all that white stuff is. Cal Cheak conditions were awesome! Large group of people there, maybe 20, sharing top rope setups. Great place to learn the basics. Ice was thin in places, but fantastic for top roping. Dry conditions and sun between 1 and 3PM. Very pleasant day to be outside.